Sarah is the true love of Justin. The beautiful bride Sarah deserves the perfect wedding day, and that day is today. Start the game by doing her make-up and after that dress Sarah and her groom Justin up for their dream wedding ceremony. After they have been married they will start their honeymoon in Hawaii in the most romantic place in Lanai City. 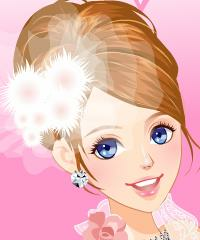 You can play more Wedding Games in the Dating and Wedding Game Category.